In a bowl, whisk together eggs and milk. Season with salt and pepper. In a large cast iron skillet, heat 1 tablespoon oil over medium-high heat, and fry tortilla pieces for about 3 minutes until crisp. Remove with a slotted spoon to a paper towel-lined plate. Lower heat to medium and add onions, asparagus, and jalapeno to the pan, and saute for 5 minutes until veggies are softened. 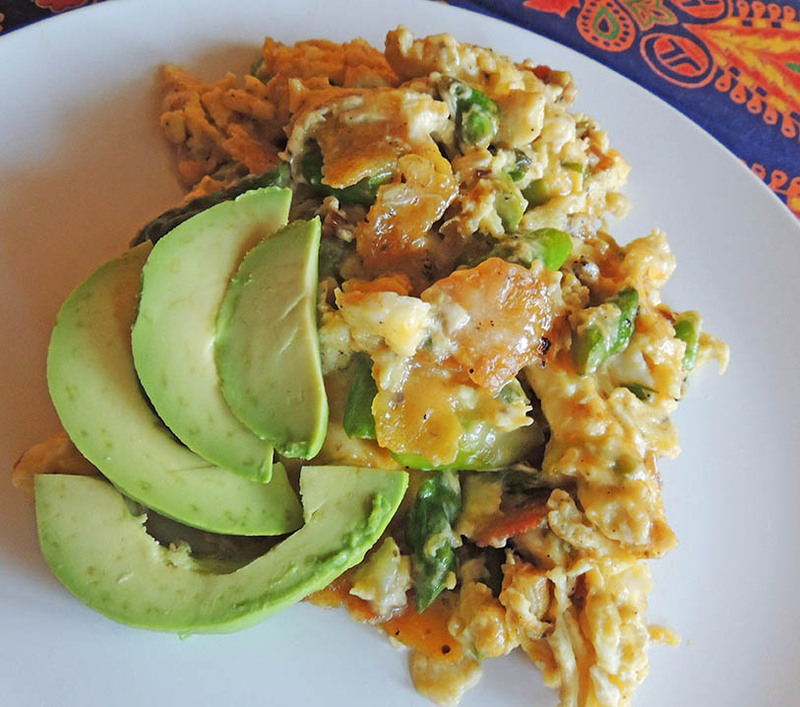 Reduce heat to low and add egg mixture and tortilla strips to the skillet. Scramble gently. Sprinkle cheese over the eggs and continue to cook, gently stirring, until cheese melts and egg is just cooked. Serve topped with salsa and cilantro if desired.